“My name is Oreo. I’m ten years old. I have anxiety. My owner died. I’m really good. I need a home.” Oreo was taken to a local shelter which proved to be a very stressful, difficult place for him. He was overwhelmed by the noise and strange environment. The staff did all they could to help the older dog, who seemed to be losing both his sight and his hearing. They help him and pet him to make him comfortable, which seemed to help his anxiety. They also tried to make sure his routine is the same, with dedicated staff that help him each day so he has some comfort and consistency in his life. 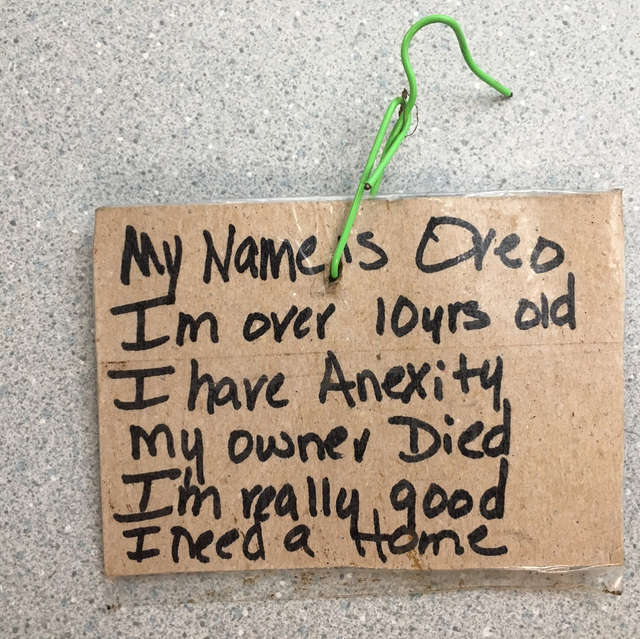 Oreo was ready to be adopted, and the shelter staff knew he needed every opportunity. 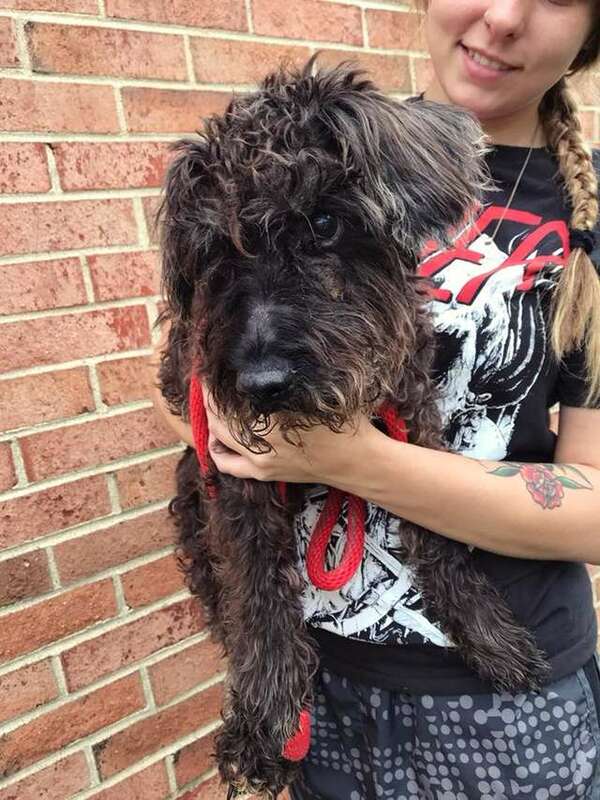 So, the sad tale of Oreo the dog was told on Facebook to help get the word out about the sweet dog and how desperately he needed a new, loving home. There were several people who said they wanted him but never showed up at the shelter. Then, a woman named Linda Snyder saw the post, said she wanted Oreo, and came to the shelter to get him. 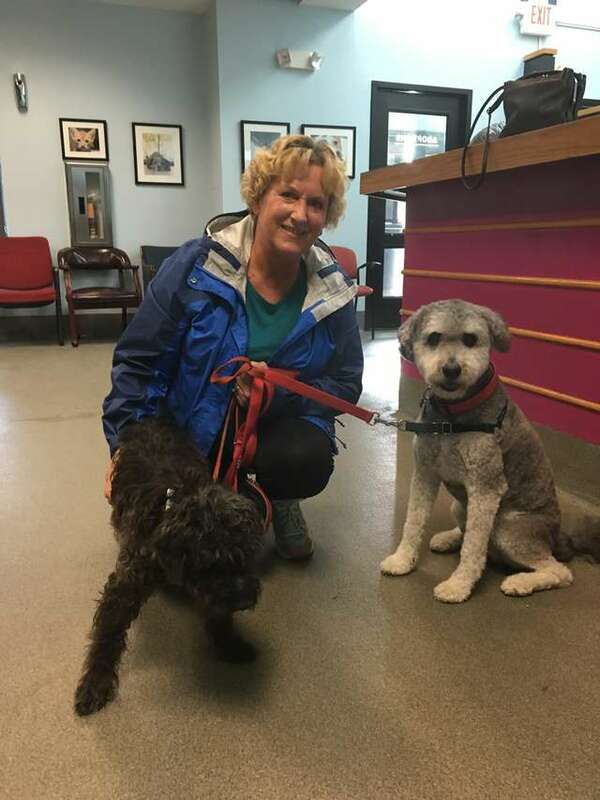 Oreo now lives with Linda on her five acre farm with his new brother Ollie!